Kung Hei Fat Choi! – Here come the dragons! Gable Events and Warner Leisure Hotels are celebrating Chinese New Year by inviting entries into the 13th East Anglian Dragon Boat Festival. This popular annual event returns to Oulton Broad in Lowestoft on Saturday 31st August and more than 30 crews are expected to battle it out in 30’ brightly painted Chinese dragon boats over the 200m race course, watched by a large audience of spectators. Dragon boat racing has an ancient Chinese history, dating back 2,000 years to the Kingdom of Chu, where local fishermen used their paddles to stave off vicious fish in a valiant attempt to save drowning warrior poet Qu Yuan. Their efforts failed and in Hong Kong a Dragon Boat Festival (Tuen Ng) is held annually as a re-enactment of this tragic event. According to the Chinese Zodiac, 2019 is the year of the Pig. People born in this year are believed to be energetic, enthusiastic and blessed with good fortune – all important qualities for achieving dragon boat success in August! This spectacular team event takes place at Oulton Broad, Lowestoft on Saturday 31st August and is open to everyone. Each crew comprises up to 10 paddlers, a beating drummer at the front of the boat and a steering helm (provided by organisers, Gable Events) at the tail end. 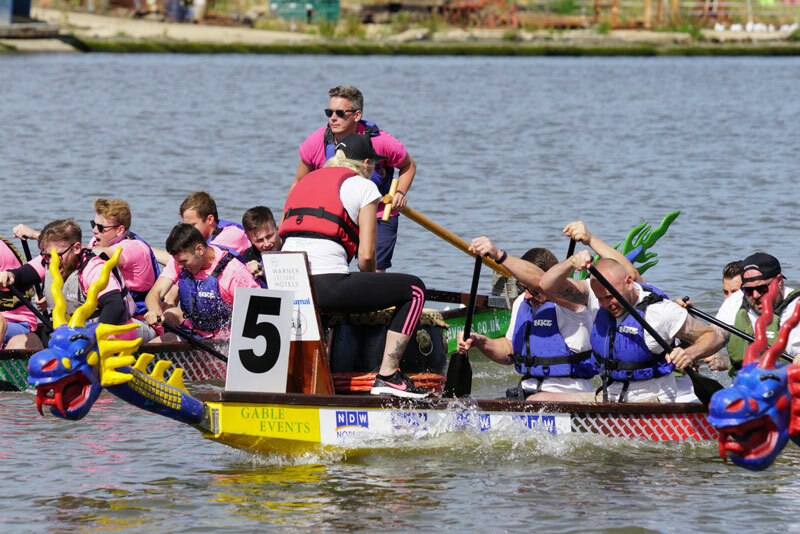 The dragon boats and all racing equipment are provided, each team receives three races and no previous experience is required, just plenty of team spirit! The Festival promises a fantastic day for competitors and spectators alike, with catering and bankside entertainment for all the family between races. 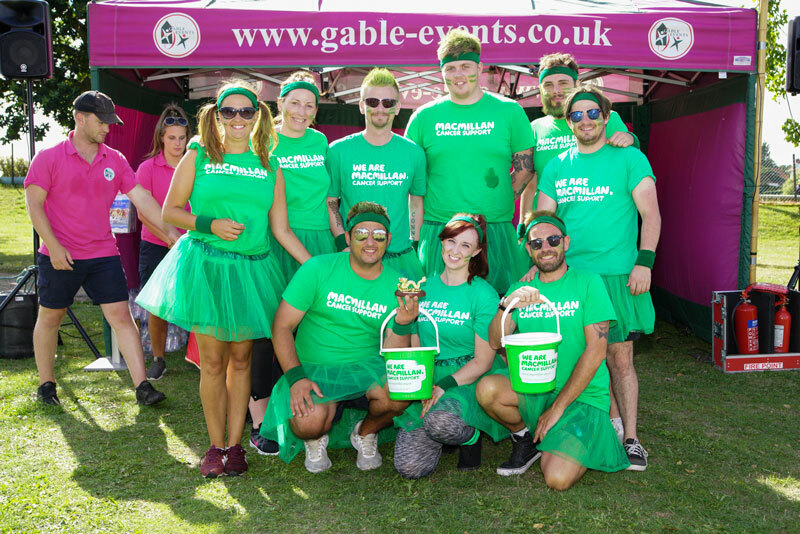 The Dragon Boat Festival offers an excellent opportunity to raise money for good causes and teams are encouraged to raise sponsorship for the charity of their own choosing. Crews opting for the popular gold and silver entry packages, which include a charity donation as well as marketing benefits, can also nominate their favourite charity to benefit from their donation. The 2019 East Anglian Dragon Boat Festival again has the backing of title sponsor, Warner Leisure Hotels which offers holidays for adults in 14 country and coastal properties around the UK. Their two Suffolk properties, Gunton Hall and Corton Coastal Village, have been entering teams into the Dragon Boat Festival for several years and are looking forward to renewing their rivalry on 31st August alongside two new crews representing their hotels in Newark and North Wales! For further information and an entry form please visit www.dragonboatfestivals.co.uk/eastanglia or call Gable Events on 01780 470718. For information about Warner Leisure Hotels, visit www.warnerleisurehotels.co.uk or call 01442 863245.